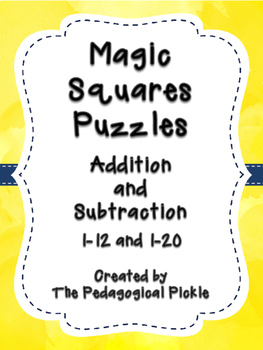 These Magic Squares Puzzles are a fun way to challenge students while practicing their addition and subtraction facts. 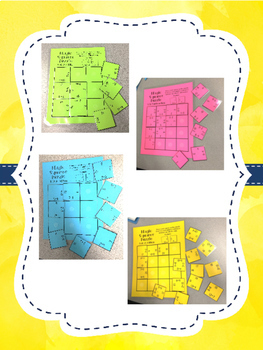 Students match number sentences with corresponding sums or differences to place all of the squares in the correct spaces on the puzzle board. 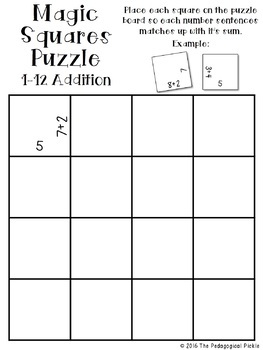 This resource can be easily differentiated for your students who may need fewer equations or equations from 1-12 instead of 1-20. 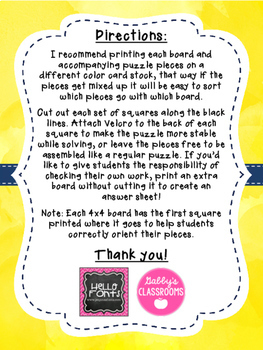 Included are one 3x3 board and one 4x4 board for 1-12 and 1-20 addition problems and for 1-12 and 1-20 subtraction problems (8 boards in total).